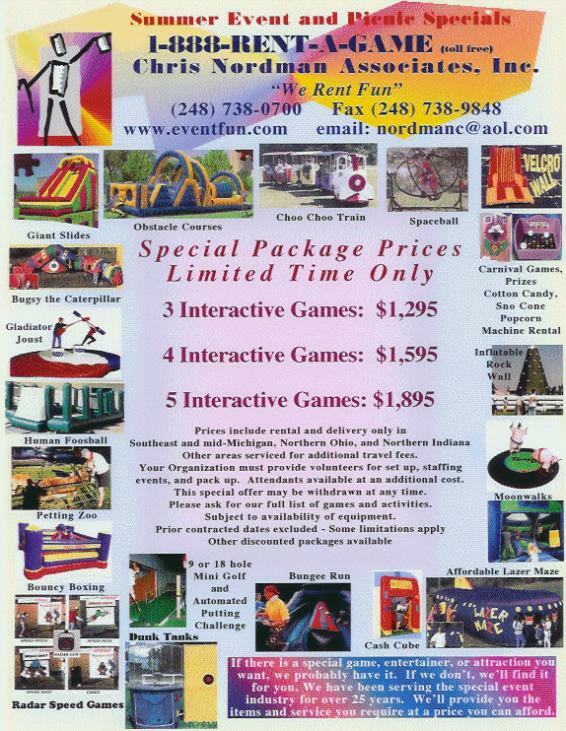 and Inflatable Games for Your Event. Virginia, and other areas depending upon routing. equipment. Prior contracted dates excluded - some limitations apply. Some larger games count as 2 or more events (games) in the package. Beyond local area miles are calculated at approximately $4 per mile.